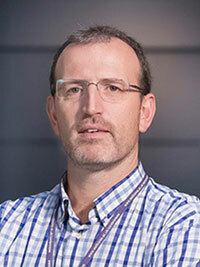 2006-Present: ICREA Research Professor and Principal Investigator of the Structural Bioinformatics and Network Biology Lab at the Institute for Research in Biomedicine (IRB), Barcelona, Spain. 2001-2006: Scientific Assistant and Staff Scientist in the Structural Bioinformatics Group of the European Molecular Biology Laboratory (EMBL), Heidelberg, Germany. 1996-2000: PhD in Computational Biology at the Institut de Biologia Fonamental of the Autonomous University of Barcelona (UAB), Barcelona, Spain with stays at the Biomolecular Modelling Laboratory of the Imperial Cancer Research Fund (ICRF), London, UK. 1996-1998: MSc in Biotechnology at the Institut de Biologia Fonamental of the Autonomous University of Barcelona (UAB), Barcelona, Spain. 1991-1996: BSc in Biochemistry & Molecular Biology by the Autonomous University of Barcelona (UAB), Barcelona, Spain. Duran-Frigola M, Rossell D & Aloy P. A chemo-centric view of human health and disease. Nat Commun. (2014). In press. Pache RA, Ceol A & Aloy P. NetAligner - a network alignment server to compare complexes, pathways and whole interactomes. Nucleic Acids Res. (2012). 40: W157-61. Mosca R, Pache RA & Aloy P. The role of structural disorder in the rewiring of protein interactions through evolution. Mol Cell Proteomics. (2012). 11: M111. Soler-López M, Badiola N, Zanzoni A & Aloy P. Exploring the role of the adaptor protein ECSIT in familial and sporadic Alzheimer´s disease pathogenesis. BioEssays. (2012). 34: 532-41. Jaeger S & Aloy P. From protein interaction networks to novel therapeutic strategies. IUBMB Life. (2012). 64:529-37. Pache RA & Aloy P. A novel framework for the comparative analysis of biological networks. PLoS ONE. (2012). 7: e31220. Duran-Frigola M & Aloy P. Using side-effects as clinical markers for drug repositioning. Genome Med. (2012). 4: 3. Stein A, Rueda M, Panjkovich A, Orozco M & Aloy P. A systematic study of the energetics involved in structural changes upon association and connectivity in protein interaction networks. Structure. (2011). 19: 881-889. Soler-López M, Zanzoni A, Lluís R, Stelzl U & Aloy P. Network modeling suggests new mechanistic details underlying Alzheimer’s disease. Genome Res. (2011). 21: 364-376. Stein A, Mosca R & Aloy P. Structure-based predictions of protein interactions and complexes are going ‘omics. Curr Opin Struct Biol. (2011). 21: 200-208. Stein A, Ceol A & Aloy P. 3did: identification and classification of domain-based interactions of known three-dimensional structure. Nucleic Acids Res. (2011). 39: D-718-23. Feliu E, Aloy P & Oliva B. On the analysis of protein-protein interactions via knowledge-based potentials for the prediction of protein-protein docking. Prot. Sci. (2011). 20:529-541. Farrés J, Pujol A, Coma M, Ruiz JL, Naval J, Mas JM, Molins A, Fondevila J & Aloy P. Revealing the molecular relationship between type 2 diabetes and the metabolic changes induced by a very-low-carbohydrate ketogenic diet. Nutrition & Metabolism. (2010). 7: 88. Sardón T, Stein A, Pache RA, Vernos I & Aloy P. Uncovering novel substrates for Aurora A kinase. EMBO Rep. (2010). 11: 977-84. Brooks MA, Gewartowski K, Mitsiki E, Létoquart J, Pache RA, Billier Y, Bertero M, Corréa M, Czarnocki-Cieciura M, Dadlez M, Henriot V, Lazar N, Delbos L, Lebert D, Piwowarski J, Rochaix P, Böttcher B, Serrano L, Séraphin B, van Tilbeurgh H, Aloy P, Perrakis A & Dziembowski A. Systematic analysis of yeast complexes intended for structural investigation demonstrates the role of accurate target selection and validation. Structure. (2010). 18: 175-82. Stein A & Aloy P. Novel peptide-mediated protein interactions derived from high-resolution three-dimensional structures. PLoS Comp Biol. (2010). 6(5):e1000789. Littler DR, Alvarez M, Stein A, Hibbert RG, Heidebrecht T, Aloy P, Medema RH & Perrakis A. Structure of the FoxM1 DNA-recognition domain bound to a promoter sequence. Nucleic Acids Res. (2010). 38:4527-38. Panjkovich A & Aloy P. Predicting protein-protein interaction specificity through the integration of three-dimensional structural information and the evolutionary record of protein domains. Mol BioSyst. (2010). 6:741-9. Pujol A, Mosca R, Farrés J & Aloy P. Unveiling the role of network and systems biology in drug discovery. Trends Pharm Sci. (2010). 31:115-23. Aloy P & Oliva B. Splitting statistical potentials into meaningful scoring functions: testing the prediction of near-native structures from decoy conformations. BMC Struct Biol (2009) 16;9:71. Mosca R, Pons C, Fernández-Recio J & Aloy P. Pushing structural information into the yeast interactome by high-throughput protein docking experiments. PLoS Comput Biol. (2009) 5:e1000490. Stein A, Pache RA, Bernardó P, Pons M & Aloy P. Dynamic interactions of proteins in complex networks: a more structured view. FEBS J. (2009) 276:5390-405. Pache RA, Babu MM & Aloy P. Exploiting gene deletion fitness effects in yeast to understand the modular architecture of protein complexes under different growth conditions. BMC Syst Biol. (2009) 18;3:74. Zanzoni A, Soler-López M & Aloy P. A network medicine approach to human disease. FEBS Lett. (2009) 583:1759-65. Stein A, Panjkovich A & Aloy P. 3did Update: domain-domain and peptide-mediated interactions of known 3D structure. Nucleic Acids Res. (2009) 37:D300-4. Russell RB & Aloy P. Targeting and tinkering with interaction networks. Nat Chem Biol. 2008;4:666-73. Parthasarathi L, Casey F, Stein A, Aloy P & Shields DC. Approved drug mimics of short peptide ligands from protein interaction motifs. J Chem Inf Model. 2008; 48:1943-8. Stein A & Aloy P. Contextual specificity in peptide-mediated protein interactions. PLoS ONE. 2008; 3:e2524. Pache RA & Aloy P. Incorporating high-throughput proteomics experiments into structural biology pipelines: identification of the low-hanging fruits. Proteomics. 2008; 8:1959-64. Pache RA, Zanzoni A, Naval J, Mas JM & Aloy P. Towards a molecular characterisation of pathological pathways. FEBS Lett. 2008;582:1259-65. Stein A & Aloy P. A molecular interpretation of genetic interactions in yeast. FEBS Lett. 2008;582:1245-50. Aloy P. Shaping the future of Interactome networks. Genome Biol, 8, 316 (2007). Sha P, Aloy P, Bork P & Russell RB. Structural similarity to bridge sequence space: new families on the bridges. (2005) Protein Sci. 14: 1305-1314. Aloy P. Structures in systems biology. (2005). FEBS letters (Systems Biology special issue). 579: 1854-1858. Aloy P, Pichaud M & Russell RB. Protein complexes: structure predictions for the 21st century. (2005) Curr Opin Struct Biol. 15: 15-22. Stein A, Russell & Aloy P. 3did: interacting domains of known three-dimensional structure. (2005) Nucleic Acids Res. 33: D143-417. Hothorn M, Wolf S, Aloy P, Greiner S & Scheffzek K. Structural insights into the target-specificity of plant invertase and pectin methylesterase inhibitory proteins. (2004) Plant Cell. 16: 3437-3447. Aloy P & Russell RB. Ten thousand interactions for the molecular biologist. (2004) Nature Biotechnol 22: 1317-1321. Russell RB, Alber F, Aloy P, Davis FP, Korkin D, Pichaud M, Topf M & Sali A. A structural perspective on protein-protein interactions and complexes. (2004) Curr Opin Struct Biol 14: 313-324. Copley RR, Aloy P, Russell RB & Telford MJ. Systematic bias confounds whole genome approaches to metazoan phylogeny. (2004) Evol Dev. 6: 164-169. Aloy P, Bottcher B, Ceulemans H, Leutwein C, Mellwig C, Fischer S, Gavin AC, Bork P, Superti-Furga G, Serrano L & Russell RB. Structure-based assembly of protein complexes in yeast. (2004) Science 303: 2026-2029. Aloy P, Ciccarelli FD, Leutwein C, Gavin AC, Superti-Furga G, Bork P, Boettcher B & Russell RB. A complex prediction: three-dimensional model of the yeast exosome. (2002) EMBO reports 3:628-635. Aloy P & Russell RB. Interrogating protein-interaction networks through structural biology. (2002) P Natl Acad Sci USA. 99:5896-5901. Aloy P, Querol E, Aviles FX & Sternberg MJE. Automated structure-based prediction of functional sites in proteins: applications to assessing the validity of inheriting protein function from homology in genome annotation and to protein docking. (2001) J Mol Biol. 311:395-408. Mas JM, Aloy P, Marti-Renom MA, Oliva B, de Llorens R, Aviles FX & Querol E. Classification of protein disulphide-bridge topologies. (2001) J Comput Aided Mol Des. 15:477-87. Aloy P, Companys V, Vendrell J, Aviles FX, Fricker LD, Coll M & Gomis-Ruth FX. The crystal structure of the inhibitor-complexed carboxypeptidase D domain II and the modeling of regulatory carboxypeptidases. (2001) J Biol Chem.276:16177-84. Aloy P, Mas JM, Marti-Renom MA, Querol E, Aviles FX & Oliva B. Refinement of modelled structures by knowledge-based energy profiles and secondary structure prediction: application to the human procarboxypeptidase A2. (2000) J Comput Aided Mol Des. 14 :83-92. Mas JM, Aloy P, Marti-Renom MA, Oliva B, Blanco-Aparicio C, Molina MA, de Llorens R, Querol E & Aviles FX. Protein similarities beyond disulphide bridge topology. (1998) J Mol Biol. 284:541-8. Aloy P, Moont G, Gabb HA, Querol E, Aviles FX & Sternberg MJE. Modelling repressor proteins docking to DNA. (1998) Proteins. 33:535-49. Sternberg MJ, Aloy P, Gabb HA, Jackson RM, Moont G, Querol E & Aviles FX. A computational system for modelling flexible protein-protein and protein-DNA docking. (1998) Proc Int Conf Intell Syst Mol Biol . 6:183-92. Martí-Renom MA, Mas JM, Aloy P, Querol E, Avilés FX & Oliva B. Statistical Analysis of the Loop-geometry on a Non-redundant Database of Proteins. (1998) J Mol Model. 11: 347. Aloy P, Catasus L, Villegas V, Reverter D, Vendrell J & Aviles FX. Comparative analysis of the sequences and three-dimensional models of human procarboxypeptidases A1, A2 and B. (1998) Biol Chem . 379:149-55. Aloy P, Cedano J, Oliva B, Aviles FX & Querol E. 'TransMem': a neural network implemented in Excel spreadsheets for predicting transmembrane domains of proteins. (1997) Comput Appl Biosci. 13:231-4. Cedano J, Aloy P, Perez-Pons JA & Querol E. Relation between amino acid composition and cellular location of proteins. (1997) J Mol Biol. 266:594-600.